I have a new philosophy on hand knit socks. 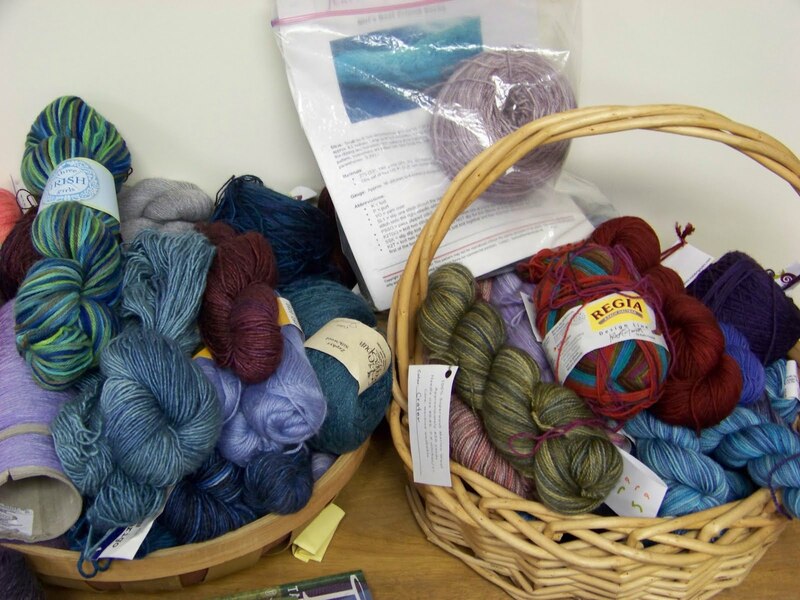 Previously, I collected all manner of beautiful yarns and dreamed up gorgeous lace patterns to go with said beautiful yarns or found amazing patterns on the web. Thank you Cookie A, Ann Hanson, Nancy Bush and Charlene Schurch, to name a few. But here’s the thing…while all these patterns and yarns are amazing they are not being knit by me. And we have 3 feet of snow on the ground. So right now I just want socks, mindless, vanilla socks. You know the kind, you cast on 64 stitches, work a little rib, some stockinette, get a little thrill turning a heel, cruise on down to the toe and Wam, Bam, Thank you, you have a pair of socks. I have too many deadlines and gotta have done knitting to indulge in beautiful sock production. My kids have drawers full of all my intricate lace work. Me, I just want to be warm the rest of the winter. 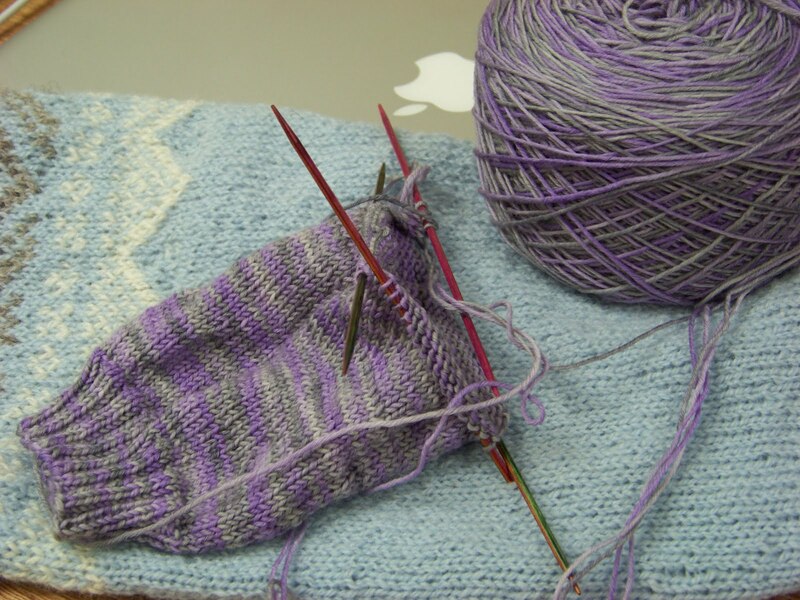 So for the immediate future this is what my socks will look like…pretty yarn, boring pattern, but oh so warm. ← Where’s it Gonna Go??? ?